If you have any extra questions or have placed your order later than 15 o’clock or during the weekend, please wait for the next working day to process your order. Thank you for your understanding. Photos that you use in your design should be JPG or JPEG file format with sRGB colour space. Please check your colour space settings in your chosen editing program (Photoshop, Lightroom, etc.) before you start editing photos and making your designs. These are optimum sizes - they can be smaller so best to check the size of the photos in InDesign under Links to see whether it is scaled correctly. (or any other design program you are using - they let you know with ! or pop-up message if your files are too small). The photos should be exported to sRGB from the original (unedited, raw) photos. If you already have photos in any CMYK colour space, don’t convert them back to sRGB but use the raw file. Please do not use any other RGB space (such as Adobe RGB, Apple RGB) than sRGB. You can use any program you are comfortable with to make the design for your book that enables JPG (JPEG) or PDF exporting - we suggest Adobe InDesign or Pixellu SmartAlbums, Fundy Designer or AlbumStomp, which offer Kalá albums templates (and already give the correct 3mm bleed area and safe zone). Example of SA design setup & export here. If you use our ID templates, please note that we recommend starting your design on the right page and finish on the left - but it is only a recommendation. You can easily begin on the left page and finish on the right and make use of the whole first and last designed spread. Also note, that our templates in ID have one additional spread at the beginning and one at the end - only used for binding purposes - please do not design these two spreads - they are free of charge and do not count them in when ordering. Design the amount of spreads your ordered and paid. You can, however, always choose our Custom Design Service. Our Custom Design Service offers you a sophisticated and clean design made with special attention to detail. You will be able to upload your photos to a folder which we will share with you. Please pay attention to the required photo characteristics & naming - they should be named in sequential order (001, 002, 003, etc). 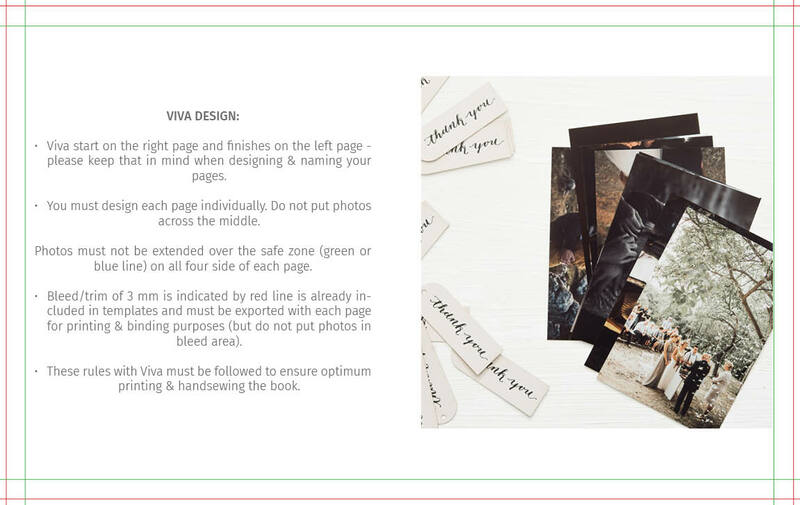 You may choose to upload between 40 and 180 photos depending on the number of spreads of your book. For optimal design we use approximately 2,5 photos per spread. If you have 40 spreads in your book the the optimal number of photos is 70-110. We will make all corrections within 10 working days and send you another preview by email. After confirmation, we will send the files into printing. Additional design changes after or major design alterations (more than 20% of the design) are charged. • Album in size of 18x18 can only take 1 image in 10x15 so please note the maximum order of images per page equals pages of your ordered album. • Album in size of 25x20 can take maximum 1 landscape image of 10x15 per page, 2 portrait images 10x15 or 1 landscape image of 15x21 per page. • Album in size 27.5x27.5 can take maximum 3 images of 10x15 per page (2 portrait + 1 landscape) or 1 landscape image 10x15 + 1 landscape image in 15x21, or only 1 image 15x21. • Album in size 35x25 can take maximum 4 landscape images of 10x15 or 3 portrait images of 10x15 per page, or various combination in 10x15 + 15x21 per page. Since we prefer having bigger margins when we design, that is, leaving more white space around the photos, we have limited the possible number of photos when we design your M album and we also use other various combination of square 10x10 and 20x20 photo sizes. You will receive our preview before we continue. Example of design setup & export here. Example od design setup & export including crop marks, color bars and file info. For Pixellu SA, you can find the explanation here. For ID, you change the size in the document setup, all the pages will be then smaller and all you have to do it to arrange the photos on that pages (select all photos on one page and make the smaller, either with % all manually). If there is another program, let us know, so we can find a tutorial for that as well for you. 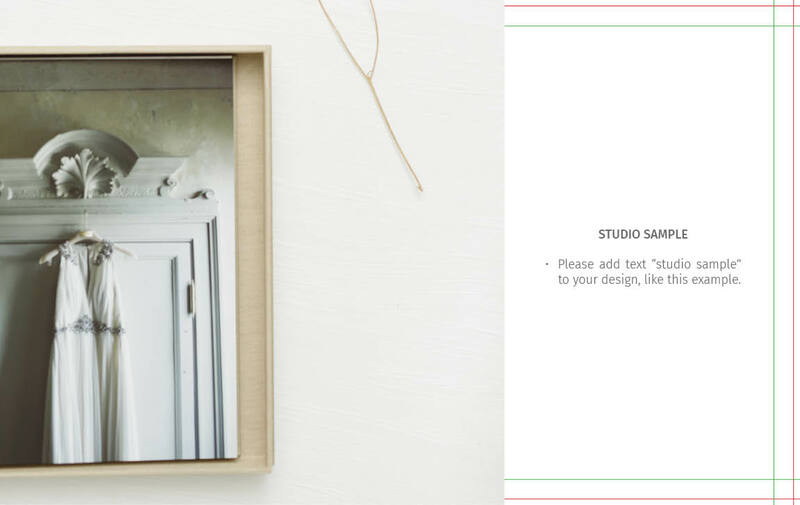 If you are preparing a Studio Sample please add "Studio Sample" on the first or last page of your design. Please keep in mind that "Studio Sample" needs to be written on all Sample orders or we will add it. You will be able to upload your files in Google Drive shared folder which we will share with you during our office hours (Mon-Fri, 8-15 o'clock). You can also share your files with Dropbox or Wetransfer. Please use the same naming of your files as is the name of your shared folder. 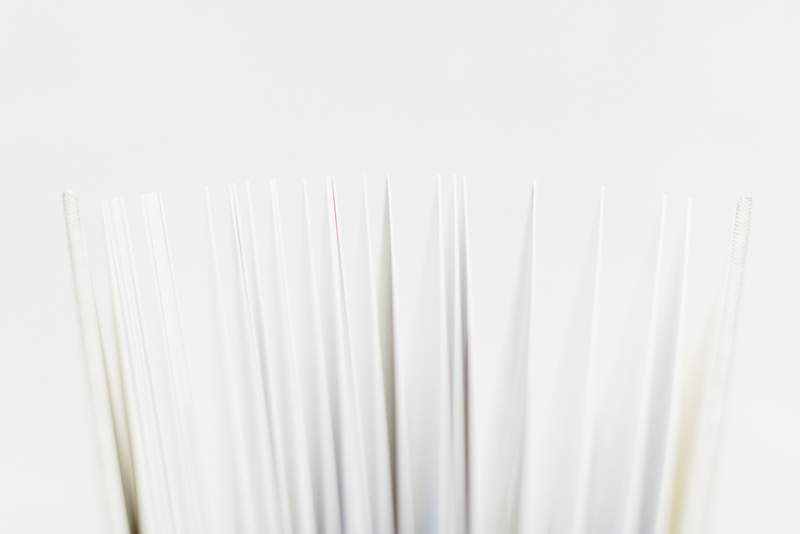 If more than one file is uploaded (prints, pages, spreads) use sequential numbering at the beginning with three digit numbers (001, 002, 003, etc). • If you are ordering a Studio Sample just add the word sample after the project name. • If you are uploading a logo just add the word logo after the project name. • If you are uploading a Cover Photo just add the word cover-photo after the project name. • If you are uploading photos for Folio, please name them left, (middle for 3 fold-folio), right. • Fonts & logos: Upload a black & white file - either EPS (vector) or PDF format. We will check or prepare your engraving and send you a confirmation e-mail which means you will receive a preview that you will confirm before we will proceed. If you are only uploading a font, please use the otf.or tff. file. • Click here to open & download cover upgrade catalogue. 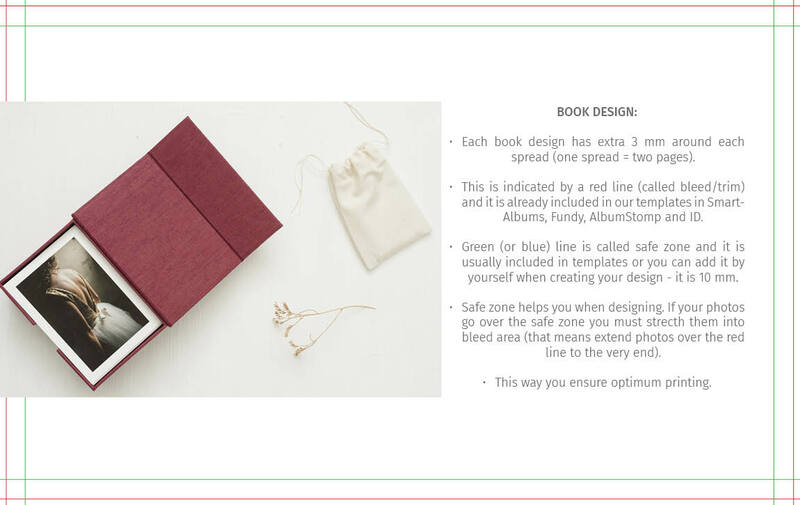 The estimated production time for making your order is different according to the product you ordered and it refers to the moment of payment or confirmation (of the books and engravings), depending on which is last and not the moment the order was placed. In case of any technical difficulties, larger quantities or national holidays the estimated production time may be longer – and we will let you know if that happens. • is usually in first week of November each year - that means all orders must be paid for, files uploaded and confirmed for print by that date. During the more busy season we need approx. 4-5 weeks production time (that is without shipping which is longer in December than usual because post offices tend to get a bit busy too) so please keep in mind the dates that are posted when ordering your products. All products will be delivered to the shipping address you provided. Time for delivery is an estimate only and delayed delivery is not a basis for cancellation of the order or a request for compensation. If you are in a hurry to receive your order please let us know so we can discuss alternative shipping (TNT express). Please not that we cannot ship items outside of EU without the invoice attached. If you wish that we send the package directly to your clients outside of EU we need to attach our invoice. Also note, additional fees due to customs may apply and are to be paid by the recipient of the package. If you wish we ship the items directly to your clients inside EU we can do so without any problem since there is no customs and invoice is not attached. If your billing address is from outside of EU and you wish for the products to be send inside EU (with or without invoice attached) please keep in mind that VAT is added in such cases. If you wish to see specific charges for individual countries, go to Shop and before placing an order, see shipping calculator. Possible only if your order is under 100 Euros. You can expect your order via regular post office delivery in approximately 10-14 working days, but the time frame could also be longer. No tracking is available for this option of shipping. Please keep in mind that if the package is not collected in 8 days it is returned to Kala albums and the second shipping will be charged. Additional fees due to customs may apply. Approx. shipping fee for secured letter around EU is 13 eur + tax (if you do not have a valid VAT). We are shipping your ordered products via DPD post courier or Post Slovenia if your shipping address is in EU. Tracking available per request. You can expect your order in approx. 5 working days, but the time frame could be longer. Additional fees may apply. Approx. shipping fee for secured package around EU is between 15 and 40 eur + tax (if you do not have a valid VAT), depending on specific country. We are shipping your package inside or outside EU via Slovenian Post Office. Packages sent via regular post office take approximately a week or two to be delivered, but the time frame could be longer. Please keep in mind that if the package is not collected in 8 days it is returned to Kalá albums and the second shipping will be charged. Additional fees due to customs may apply. Approx. shipping fee for secured package outside EU is between 35 and 65 eur, depending on specific country. If your shipping address is in Slovenia we are shipping you your ordered items via DPD courier or Post Slovenia. You can expect your order in 1-3 working days, but the time frame could be longer. Approx. shipping fee is from for 4 to 9 eur + tax, depending on the package. Local Pickup is also available at our studio, but please contact us before to pre arrange the meeting. If you are in a hurry and wish to have your products shipped via TNT express delivery please email us and we will manually amend your pro-forma invoice and arrange express shipping. TNT delivery takes approx. 1 day. You will receive an email with your tracking number. Additional fees due to customs may apply. After placing an order at our shop you have received a pro-forma on your email which is the basis to create and produce your products. Carefully inspect it (colour of the book cloth, font, engraving, spelling, etc) and confirm your order with a payment (either via bank transfer, credit card or Pay pal). After the order has been payed, you receive an additional email with Invoice attached as a pdf. and at that moment we will start processing your order. Your invoices can always be found in your Account section. You can pay by bank trasnfer, credit card or via PayPal all our orders. If there are any additional costs via bank transfer please check with your bank. Please note that the prices on our page are in Euros and do not include VAT, which is 22 % for members of the European Union that do not have a valid VAT number. Price of products also do not include shipping fees which vary depending on your shipping address and our included in the final amount on your pro-forma. Orders are processed only after your payment, it is not possible to pay after receiving the products. After you have placed your order you can change it by contacting us at order@kalaalbums.com but please note that after the order is paid we start processing it and it is not always possible to change it and/or extra charges may apply. After you have placed your order you can cancel it on your account dashboard under orders section or by contacting us at order@kalaalbums.com. After we receive your payment we start processing your order which means it is no longer possible to cancel your order. • Can I change my shipping address? Please contact us at order@kalaalbums.com and we will see what can be done. Please note additional charges may apply. • What is your policy on returns? Due to the custom nature of each order (specifically handmade for each individual client), all sales are final. • Do you offer "rush orders"? We do not offer rush orders since each and everyone of our products is hand made individually for specific order (nothing is pre-made, or can be speeded up due to the nature of our work - working with natural materials, etc). That said, we always listen to your wishes, do our best to make everything happen in time, offer express shipments, and so far all our clients have always received their products on time. • How do I proceed with a complaint/damaged order? If you see that the package from the outside is damaged, please take photos upon receiving the order from the courier (alternatively decline the package if you feel it is too damaged). If you accept the order but find the inside of the package is also damaged take immediate action (same day) by contacting the courier and filling out a form that the package was damaged because of transport. Have the package + products with you because they will inspect it and might keep it/send it back to us (each case in individually handled by postal couriers). In the meantime we will also go to our postal courier to fill out a form as well and receive the instruction on how to proceed and keep you updated. If the package is not damaged but the products have some sort of a defect that is a printing/binding mistake (like visible crop marks, or one spread missing, or wrong fabric/engraving, etc), please write us within 14 days of receiving the package and we will look into and resolve/handle each case individually since each book is made individually and specifically for you. Please note that we work with natural materials that can vary and everything we do is handmade. So books can never be 100% perfect since they were not made by a machine. We are proud that each book is unique and we do our best to deliver our books 100% perfect (resembling to machine work) however this is not always possible due to materials and processes. Various reactions in the materials like wavy fabric or paper, small spots, (dis)coloration that occur in natural papers is something that results from working with natural materials and such materials can react and it is nothing we can do about since we love that natural materials have their own life and not everything is plastic. Due to archival paper qualities the paper could become yellowish on the edges in time. This is a normal process when acidity comes near the book or FA prints. Expose them to natural light/sunlight to discolor the yellow stains or border. We can not guarantee the color will go away, it depends on the environment where the book is stored. Regarding the shipping costs of and repair please note that each case will be looked at individually but in general if there is a mistake in the book (like visible crop marks) we will cover the shipping cost and repair. If there is something within the book that is a result of a natural material (like a spot in paper) we will not cover shipping costs and repair. If the package is damaged due to poor shipping handling we will cover the shipping costs and repair (but it might take a few days before everything is arranged with postal couriers) - if the damage is not too big you might be reimbursed with a discount on your next order. Family heirlooms are things to be treasured and the following basic tips for handling and storing your books and albums will help you keep the memories alive. Keep your books and albums safe by storing them in our acid-free archival book boxes. Have them stored away from acidic elements like newspapers, glued drawers, etc. They should be stored flat/placed laying down or they can be stored standing up on a bookshelf stacked between other books. Avoid placing heavy objects on top your books because it may cause a dent in the fabric of the cover. Wide variations in temperature and humidity can cause materials to react so make sure to store them in room temperature away from too much light, heat, moisture, etc. Leaf through your book on a flat clean surface. Make sure your hands are clean and free of lotions and put on a pair of white cotton inspection gloves for added protection. Be careful when browsing the book not to allow the endpapers to become too stressed since it might tear. Paper is one of the most vulnerable of heirloom artifacts. Please note, preventive care of heirlooms is always easier than trying to repair a broken item. Improper handling and storage of albums or prints may void your warranty. Our prints are printed with Fine Art pigment inks whereas photo prints are printed with dye inks which means they are not suitable for framing and being exposed to direct sunlight like our FA prints. Both our Fine Art and photo prints can be stored in our special photo boxes. Store your items at room temperature and never expose it to direct sunlight, extreme heat, or moisture. Be careful to wash your hands before leafing through your folios. These simple “rules” should help keep your boxes and folios amazing for generations to come. We recommend using a protective USB bag or USB box to keep your stick safe. Please use the flash drive as recommended by your computer provider. To prevent data loss it's important to eject and remove the USB device correctly. Although canvases have a UV lamination on them they should not be hung in direct sunlight for prolonged periods of time or exposed to humid areas. We do use a water-resistant coating to protect the surface of the print and prolong UV stability. Our canvases are all coated so you can use damp cloth to clean the face of the print. We recommend using VersaCraft ink pads. These are also suitable for decorating smooth natural fabrics such as cotton (the one we use for our design bags). You should clean your stamps after using them by pushing the stamp down onto a damp cloth several times or wash it under water and then dry by tapping gently on the kitchen towel. Hand wash in warm water and iron the fabric. The wooden blocks have a protective finish over the photographs to keep it safe for generations to come. You can use damp cloth to clean the face of the print.